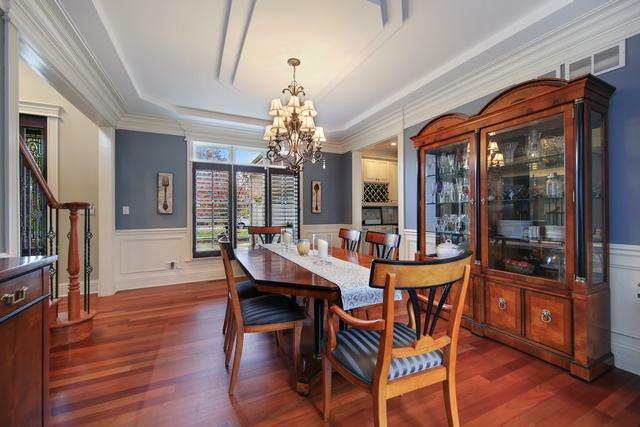 This colonial-style home is classic design perfected. 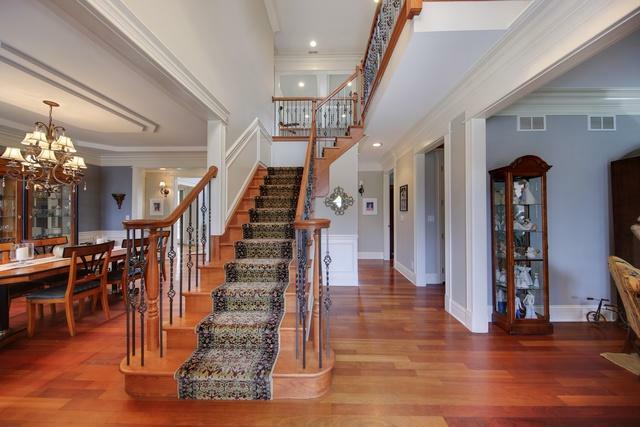 The foyer opens onto a grand staircase flanked by the formal dining room and living room. The dining room features architectural detailing and complementary millwork for an elegant atmosphere. The two-story family room is centered around a gorgeous fireplace and imposing wall of windows with views onto the back lawn. The French country-style kitchen includes exceptional custom cabinets, dual ovens, first-rate appliances, an eat-in island and separate breakfast nook connecting to the back deck. A private study on the first floor offers a quiet place to work. The master suite includes coffered ceiling in the bedroom, and a Jacuzzi whirlpool tub, dual vanities and walk-in shower in the spa-like bathroom. The remaining 3 bedrooms, one being an en-suite, are spacious and filled with natural light. The fenced-in backyard offers plenty of room to run around. 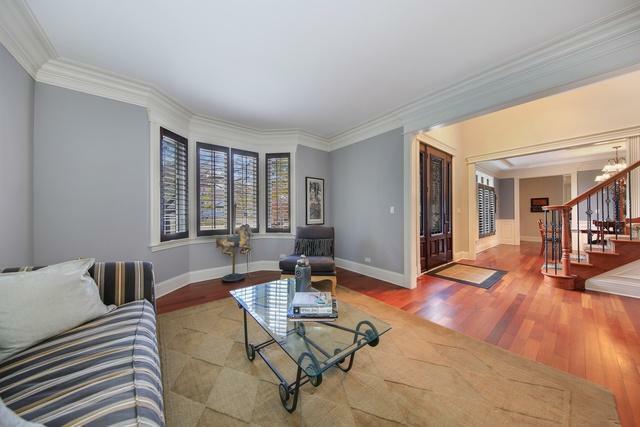 The traditionally stylish home is just steps away from Hinsdale Central.